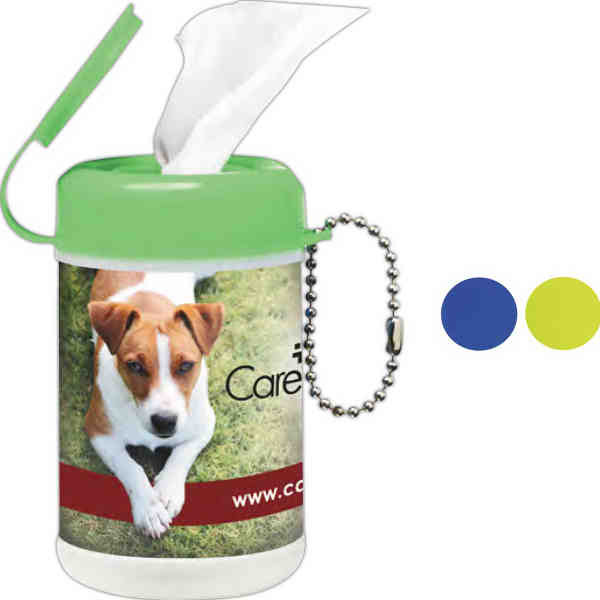 Antibacterial disposable wipes in a mini can-sized container with snap closure lid. Each can contains 24 wipes and meets FDA requirements. Size: 1 7/8 " x 3 1/4 "